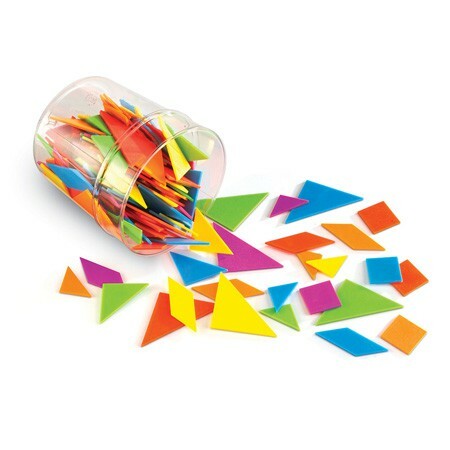 Liven up learning while students practices comparing, composing, and decomposing shapes with 30 tangram sets in 6 vibrant, bold colors. Includes storage bucket and Activity Guide. From Learning Resources.